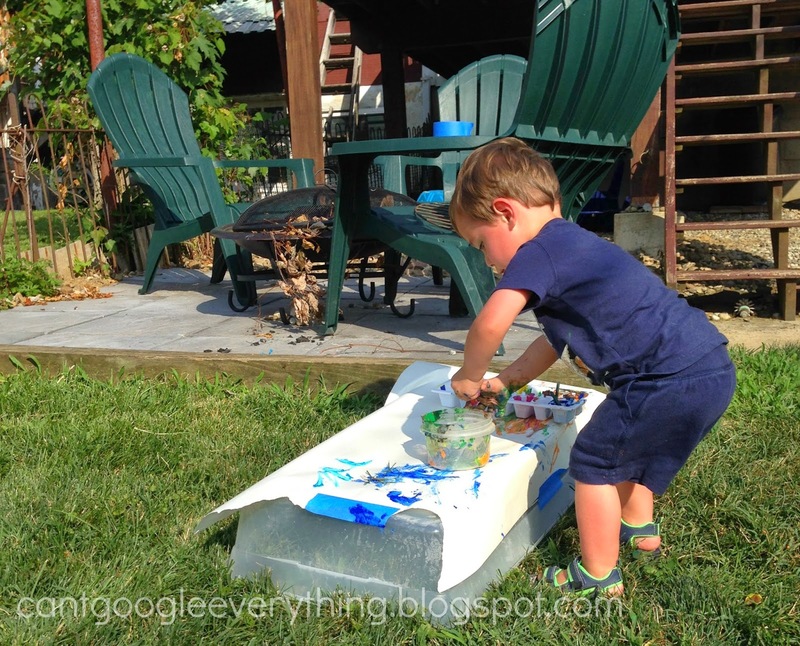 Toddler Activity: Stay Cool with Ice Painting! This summer we have had a lot of fun experimenting with different types of ice outside! 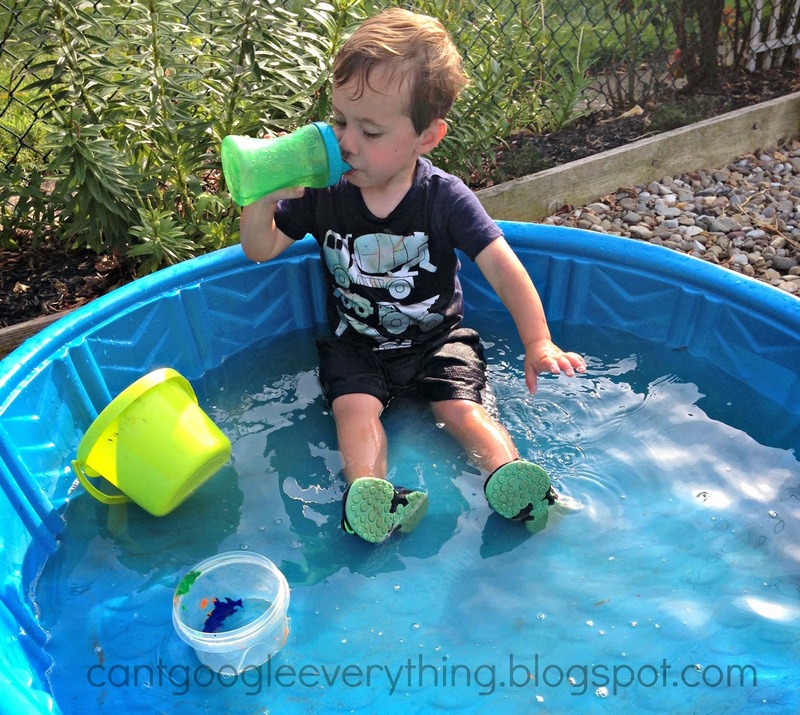 Ice activities are so much fun for toddlers and a great way to stay “cool” in the summer. We might be coming up to the end of summer here soon, but there are still plenty of warm days left to play outside! 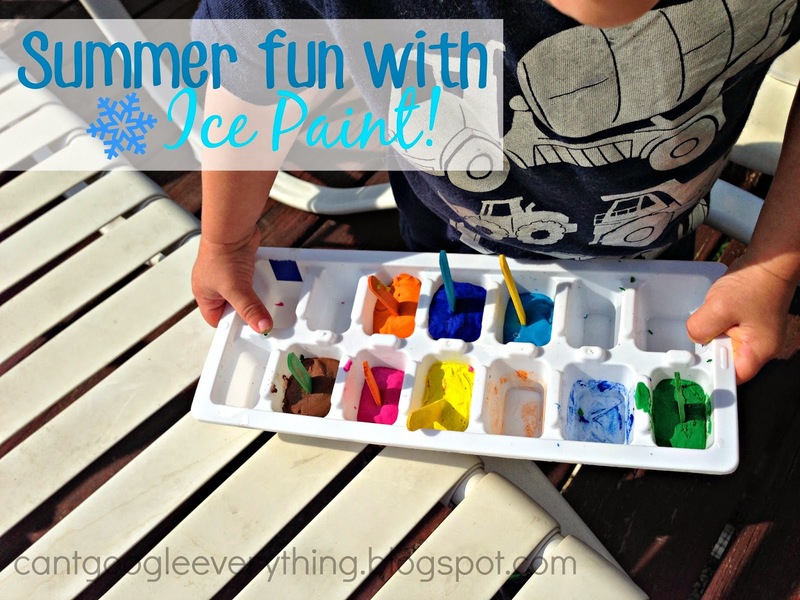 Ice paint is a fun and different way to paint, but simple to make! 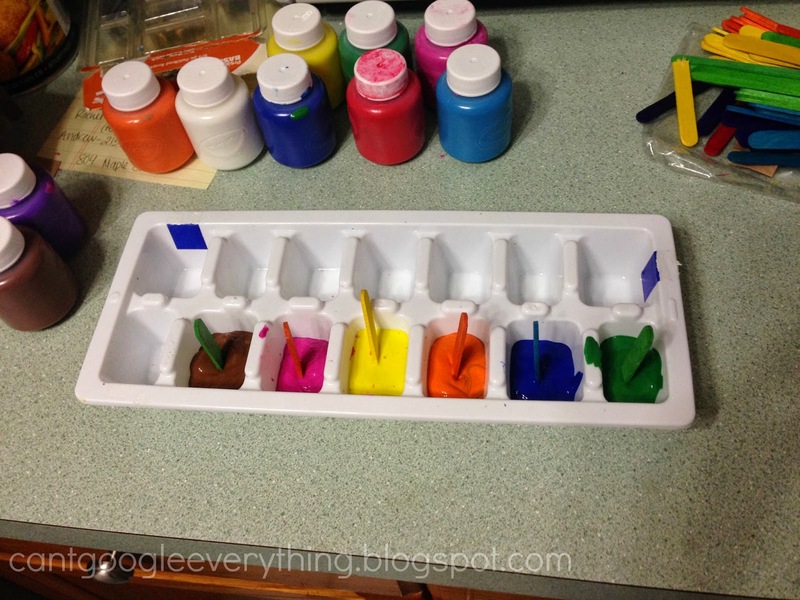 I just poured different colors of paint into an ice cube tray, stuck in craft sticks and froze! You could also make them more like water colors by mixing a little bit of paint with water for a different texture and consistency. 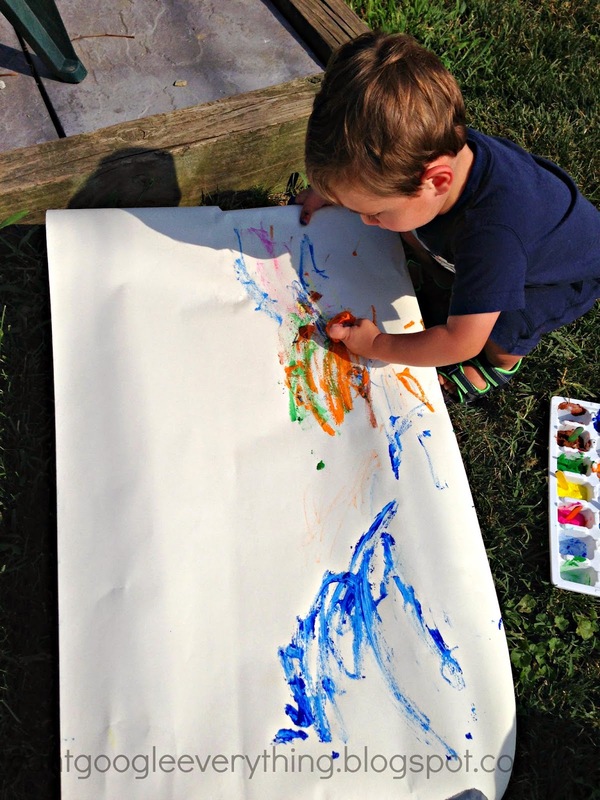 Our ice paint was very thick, but since it was all paint it went on very bright on the paper! I taped a large sheet of paper onto a flipped over long, flat tupperware to make a table. After I loosened each paint cube from the ice tray, I handed it over to Carter and let him go for it! At first it was kind of hard to get the colors to transfer to the paper, but after a few moments in the hot sun the ice melted just enough to be able to paint with it. Carter experimented with mixing the colors together. Be sure to use washable paint! Took a juice break in the kiddie pool! And then he headed back to the painting for another round! 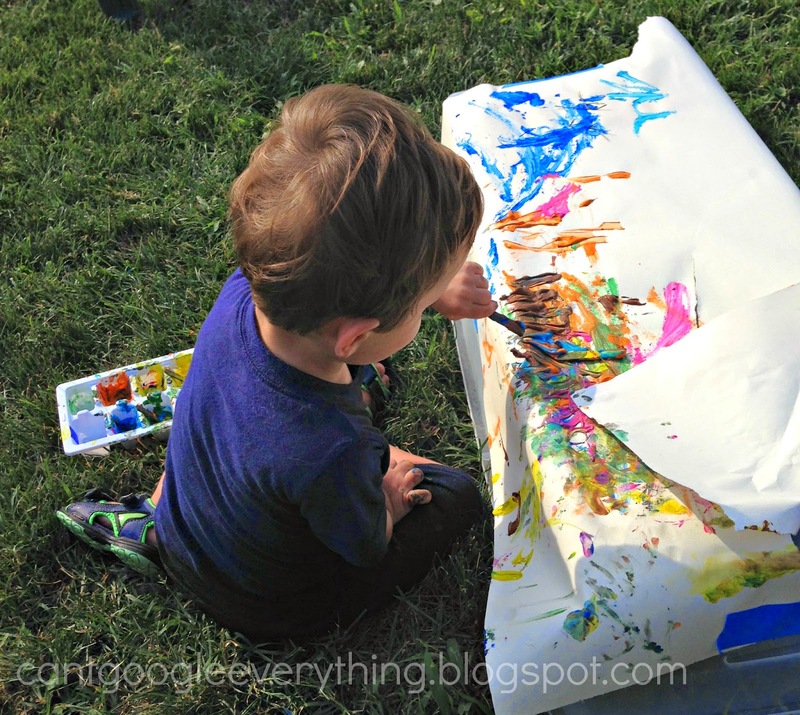 He also added texture to his painting by adding grass, dirt and sticks to the paint. Overall this activity was really fun and Carter enjoyed it a lot! 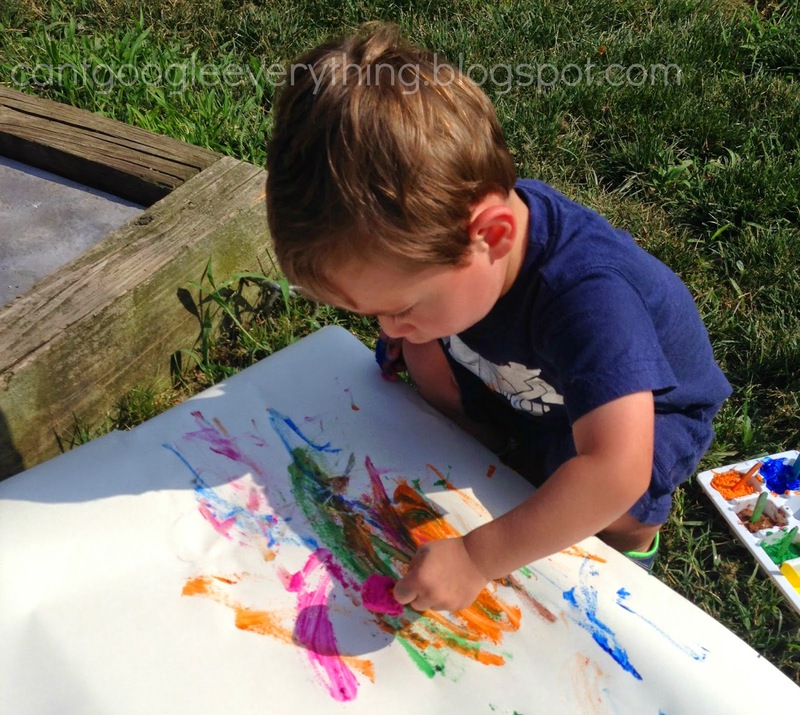 We spent a nice afternoon outside alternating between playing with the paints and going in the kiddie pool! Have you ever tried ice painting? We have never tried ice painting! I'm sure the kids would love it so we have to try! Thanks for sharing! Love this idea! Maybe we'll got out and paint later. Out visiting new blogs and hope your day is going good. I never tried ice painting with my son. Hope to with the grand kids. I do recall doing crafts with my kids. Enjoyed. This looks super fun! 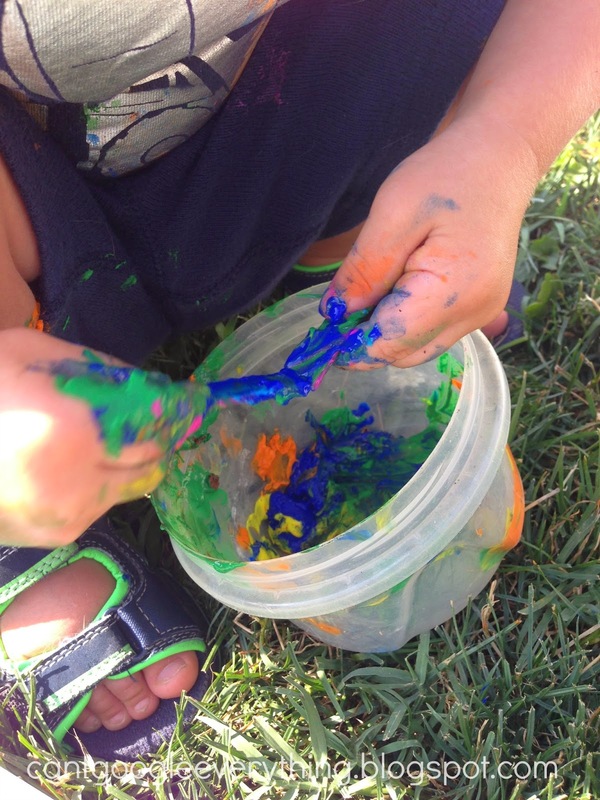 I love messy projects that can be done outside and hosed off! I have been wanting something like this so the girls could "paint" our back stockade fence. I wonder if this is permanent? Ice painting? How creative is that! I'm so not a savvy parent. We just used plain old paint!! My kid would LOVE this! I have to try it before summer's over! Thanks! This is very cool! I might try this with my honey's nephews! This is super cool! I'm definitely going to try this sometime!!! My niece and nephew are back at school already, but it's still a cool after school or weekend activity! Thanks for sharing! Wow! What a great idea. My kids will LOVE this. Thanks for sharing! This is such a great idea! I've pinned it for when summer comes here! Oh my kids would LOVE this! Thanks for the idea!